Thanks to Amanda @ Running with Spoons for hosting Thinking Out Loud and for giving me the best smoothie ideas! 1. I didn’t run last night. When I woke up on Wednesday morning and took my first step I didn’t feel any pain, but as I was walking to the shower I felt a dull ache in my heel. All day I went back and forth on whether I should do my regularly scheduled speedwork, an easy run or no run at all. I figured it was the smart thing to skip the run, even if it wasn’t what I really wanted. 2. This whole HEAT v Nets series I’ve thought that Jason Kidd looks like Voldemort. When I googled it, I found that I’m not the only one. I don’t actually think this picture fully captures the similarities, but you can see it, right? Oh yeah and … HEAT HEAT HEAT HEAT HEAT!!!!!!! WIN!!! We’re halfway there now! 3. It’s been way too long since I’ve hung out with B. We’ve known each other since sophomore year of high school and used to hang out every day. We even lived together in college for a year. She works at Stetson now… which is too far away! I miss you, B! 4. This was B, myself and a couple of friends our senior year of high school. We were in Orlando for FBLA (Future Business Leaders of America) state competition! I think our friends were entered in the web design division, and B and I were entered in the business plan division. 5. Just chillin with a tiny alligator (crocodile? I can’t remember). 6. This is how I feel. Cecil is super picky with the people he’ll allow to pet him. If Cecil likes you, then you’re probably a good person. Or you’re holding a plate of chicken. And there it is — my random thoughts for Thursday! Provided I have no heel pain, I’m definitely getting out for a run tonight. Were you in any clubs in high school? -I was in so many I can’t even remember them all! Do your outfits / hair from high school make you cringe? Previous Post Runner Crisis Averted! Yours shouldn’t make you cringe – you’re rocking that hat! Yep, animals just know hey. Great judges of character I reckon. I wasn’t in many clubs in school for very long – would start things all enthusiastically and then quit not long after for some reason. So, for a time I was a cornet player (shorter, fatter trumpet) in the jazz band, and a fencer in the fencing club (claim to fame: I was the under 14 champion for girls in Kent, England – think there were a total of 5 of us battling it out for the trophy/title, haha). Hmm, that’s about it I think. 1. I so want you to dig out your old photos and share them! 2. I think being in a fencing club makes you pretty badass. 3. Yes! Anyone can participate in Thinking out Loud. You just have to include a link back to Amanda’s blog and then you add your link to her Thursday post so that others can find yours, and you can see theirs! I promise – when I get back to Oz (next July! 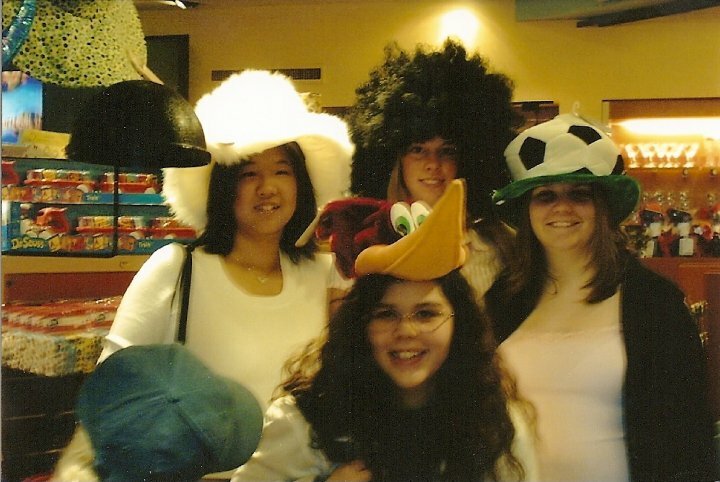 Stick around, lol…) I will scan and post some shocking high school cringe worthy photos, just for you! Senior year, I cut my hair to chin-length, but had no clue how to style it correctly. So my senior yearbook photo is…pretty dang embarrassing . Hah! Senior year I decided to perm my hair so my senior photo is pretty dang embarrassing too 😉 Since my hair is so straight it had to be tightly permed like a poodle! I just google’d “rick scott voldemort” and kind of love all the pictures that came up! sophomore year of high school. i went from super long hair to shorter-than-a-boy’s hair. and it was not cute. that was the season where i looked like my brother. i am not proud. OMG hahaha that is too funny 🙂 Seems like we all made some silly mistakes with our hair in high school! I wasn’t in many clubs – I pretty much focused on cross country and track – I was in National Honor Society and Student Council – hmmm….I think I was a nerd but at least I was a running nerd!! 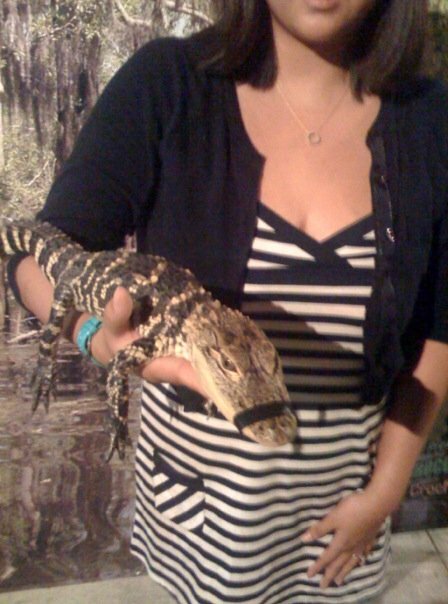 Super cute dress in that picture where you are holding the baby alligator/crocodile! Haha well, I was in the national honor society and academic club, so I’m SURE I was a nerd — but a nerd who dressed well 🙂 I had a much better sense of fashion back. Now I’m all about comfort! That’s great that you were on cross country. I didn’t even really understand what cross country was in HS! Great post. Can you explain more about Thinking Out Loud Thursday. I didn’t run yesterday either, blah. 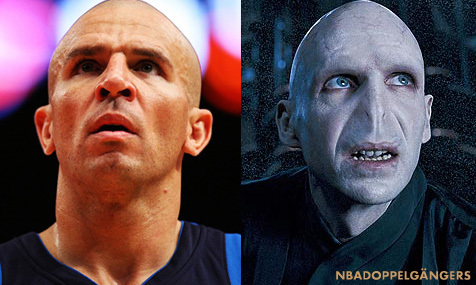 OMG kidd does look like Voldemort lol. Super stoked we closed out the series, give Lebron and Co time to rest. Your high school pics look like lots of fun. 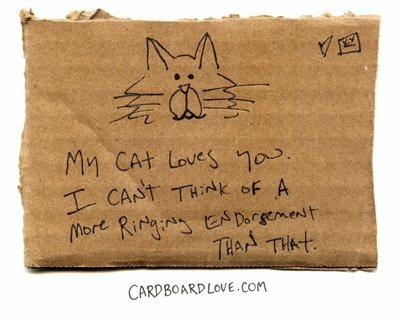 Pets are great judges of people, pet doesn’t like you, I don’t like you lol. Clubs – I played sports and wad in national honor society in high school. Thinking Out Loud Thurs. is a blog linkup that Amanda @ RunningWithSpoons.com hosts. On Thursdays bloggers write about whatever is on their mind. In your Thinking Out Loud post you link back to Amanda’s site, and then once she puts up her Thinking Out Loud post you can add your link to her linkup area. That allows your post to be seen by other bloggers participating, and it helps you find new bloggers to follow too! I love that everyone was in honor society 🙂 We’re such a smart bunch! Oh goodness… there are so many pictures from my younger years that I can’t handle looking at. Like.. what was I even thinking?!? Hairstyles, fashion [non]sense, glasses… *cringe* It makes me wonder if I’m not going to look back at myself now in a couple of years and feel the same way 😆 I think that’s why I try to stick to classic pieces and colours… Much less danger of doing something crazy. I remember some of the hair styles I had in my younger days. I look back now and think what was I thinking. But back then no one would ever tell u if it didn’t look good…haha. Sometimes you just need to take a day off. I did that the other day and then I ran twice the following day and it felt great! Haha, the whole Voldemort thing is pretty darn funny! He does look like him! 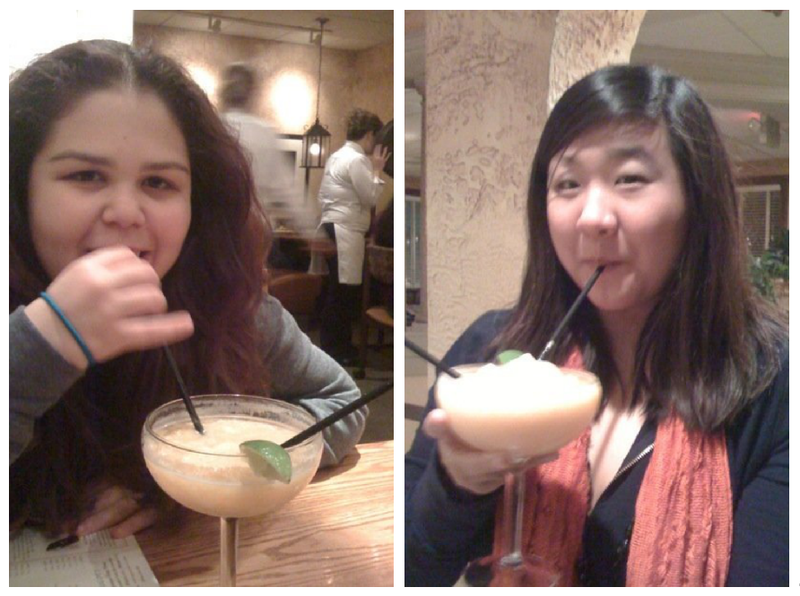 Eeek, I had the worst hair & style in HS… yikes. Totally 80’s/early 90’s style. Hope the heel feels better soon! !